The wide world of iPhone apps has come to encompass even the most complex of subjects. Such a selection of applications offers even the most serious working professionals a chance at valuable, mobile tools. 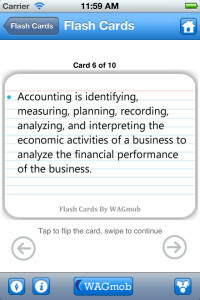 We run-down the top ten iPhone apps specifically for accounting majors and professionals. This popular app provides a well-rounded educational and reference experience for those who do not always have large chunks of time to spend all at once on an app. With a wide arrange of accounting concept tutorials, quizzes, flashcards, and other interactive learning tools, users can become quite versed in accounting. Easy Books is a professional, mobile, business, bookkeeping app. Track time. 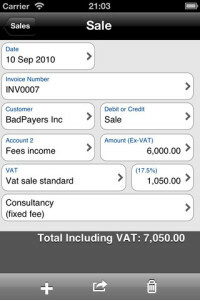 Create and record invoices. Easily view your account information via statements, customers, suppliers, and more. 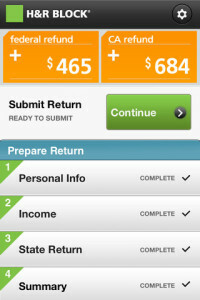 This highly rated app is a real, all-in-one, accounting tool. 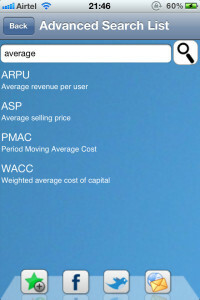 iPhone users can have access to a comprehensive list of business abbreviations with the Business and Finance Abbreviations app. Features also include Twitter sharing, free-search and alphabetized brackets, favorites lists, quick reference, email sharing, and more. The app also continually stays current through regular updates. 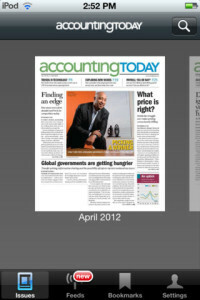 Accounting Principals is a business app that can be useful to a wide array of professionals. Job-search or just browse accounting-related jobs. Stay updated with current field news. Even watch helpful videos. 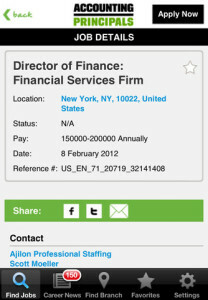 This app is a leader in mobile staffing solutions for anyone hiring or looking to be hired in the accounting field. This application is actually a mobile version of its namesake, print magazine. Anything having to do with today’s accounting can be found within. All print magazine materials, story clipping and saving, streaming video, podcasts, and more make Accounting Today a definitive source for staying cutting-edge current in the field. For those searching for an all-inclusive finance management tool, this app does it all. 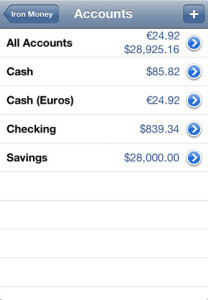 Organize accounts, track all past and present transactions, and even analyze occurring spending habits. This app is great for recommendation by professional accountants to their clientele for finance support and planning on the go. 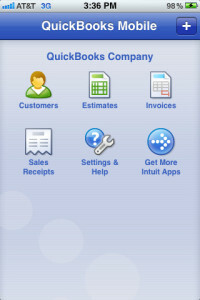 QuickBooks Mobile is the mobile version of the very popular QuickBooks. Users enjoy full customer account management with billing, invoicing, receipts, estimates, customer tracking, and much more. This app is ideal for small businesses and their particular accounting needs. Freshbooks is another highly rated, full service account management tool. 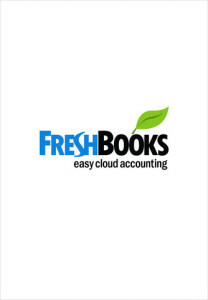 Similar to QuickBooks, Freshbooks provides the ability to invoice, bill, analyze accounts, produce receipts, and more. This accountant-ideal app uses cloud accounting, meaning information can be accessed from anywhere, anytime. If your accounting needs have anything to do with stocks and market investment, the Chaikin Power Tools app has you covered. Users can analyze market moods and investments with a colorful and very detailed, up-to-the-minute interface. 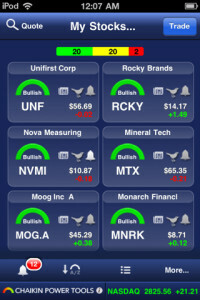 Manage stocks, create watch lists, and have the ability to deeply analyze any happenings with one simple app. What would accounting be without taxes? Whether you are an accountant or client, the H&R Block app gives users the ability to manage tax documents, stay on top of the latest tax-related accounting news, and learn more about the subject in general. Find a local office, contact a tax pro, estimate coming refunds, interact with personal checklists, and check return status with this valuable tax accounting app.